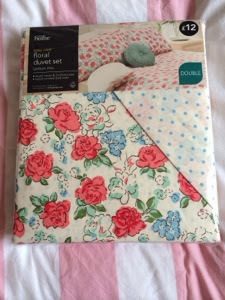 I couldn't resist this duvet set, I saw it on the Asda website during a bit of a random browse and then spotted that it was only £12 - I had to have it and a few days later it arrived. I love the pattern and it actually feels nice and soft to touch. 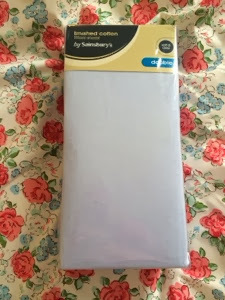 This little brushed cotton sheet may not look like much but it was 60% (I think) off in the sale and perfectly matches the blue in the new duvet cover, I also bought the matching pillowcases and because this is brushed cotton, it's so soft and warm. I can't find it online but I've been to several Sainsburys over the weekend and spotted it in each of them so check out your local one. 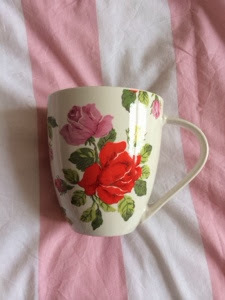 I have a serious mug obsession, it's actually a bit worrying, I particularly have an obsession with the Cath Kidston "Stanley" shaped mugs and while this isn't a Stanley shape I don't think, it's very similar, it's also Cath Kidston and I can't say no to a floral print. 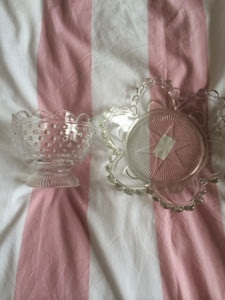 Ah, the beloved Skurar pot from IKEA, I have several of these and also picked up this big bowl here but in Red to keep my dressing table a little tidier. 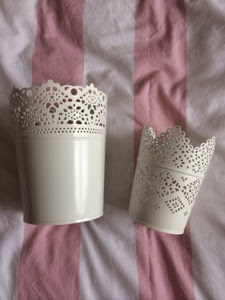 I love these little candle holders, they look really pretty with a lit candle in them and are a bit of a bargain, I actually wish I'd bought a few more of these to keep around the house. 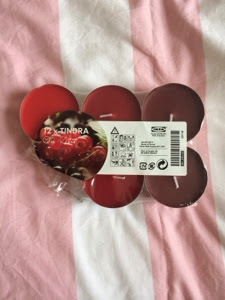 These candles smell AMAZING - Seriously, If you go to Ikea, pick them up, I'm a bit snobby when it comes to candles and tend to prefer more expensive ones, but these smell really good and fragrance the whole room really quickly. 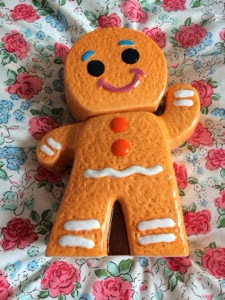 I was having a little wander around some charity shops at the weekend and spotted this little biscuit barrel and couldn't not buy it. Way. Too. Cute. These were actually bought at Christmas but the picture has somehow ended up here. 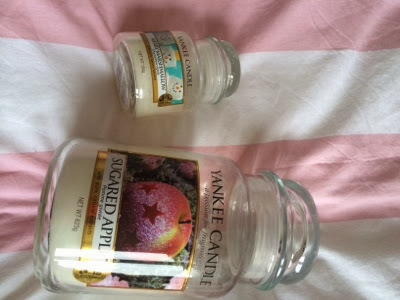 I am OBSESSED with the Sugared Apple scent and have it burning pretty much every day. Do you like Home Hauls? Shall I keep doing them. 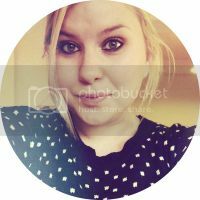 3 comments on "HAUL // Home Haulin' feat. 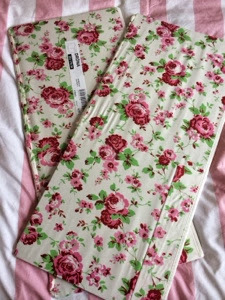 Asda, IKEA & more..."
Everything you bought is so pretty, I love vintage floral prints! I am the same as you, I spend so much money on buying stuff for my bedroom I have no money left for beauty products. I spend ages in home decor shops and I love looking at all the lovely little quaint decorations and stuff. So yes, I am definitely all for home hauls, you should keep doing them! Thanks lovely, I will keep posting them up then! I'm a sucker for a floral print - you just can't beat them! Glad you like, will keep posting them up! I love going to Ikea, and home posts! Make me want to shop!